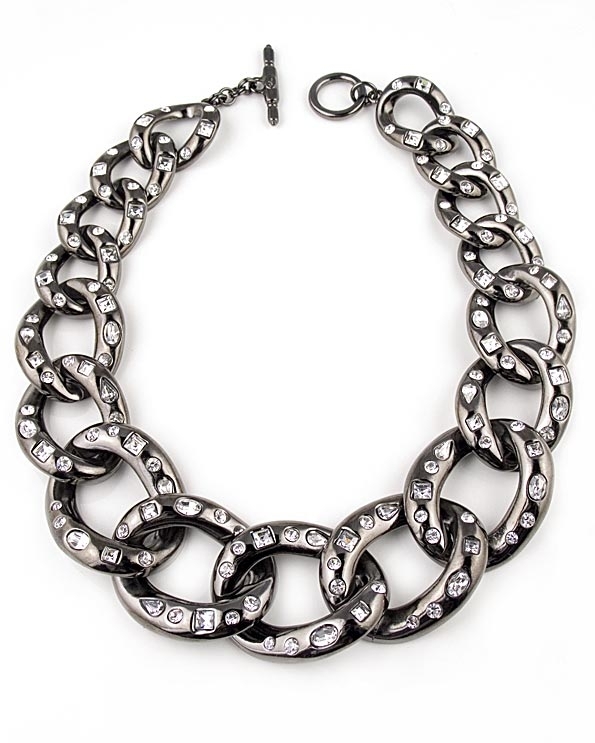 Transform any outfit with this bold link necklace from Kenneth Jay Lane. The piece is designed with graduating links in a sleek gunmetal finish. Round, square, oval, and pear-shaped clear crystals twinkle within each link. Secures with a toggle bar closure.